There's something about a sci-fi movie that's very special, whether it's depicting a bleak dystopian future, a journey into distant space, or a series of leaps between different times and places - it lets us dream about life beyond what's normal, at least for a few hours. The good news for sci-fi fans (which should be all of us) is that there are some really, really strong movies in this genre due for release in the next few months, enough to whet the appetite of even the most cynical cinema goers. Here are six of the most promising. At first, the idea of a sequel to one of the most iconic science-fiction movies of all time seems like sacrilege - why pollute the memory of a perfect flick with a substandard sequel? However, with Ryan Gosling, Harrison Ford and director Denis Villeneuve (of Arrival and Sicario fame) all on board, we're willing to give this follow-up the benefit of the doubt. Going off the trailers we've seen up to now, it looks like Villeneuve's team has managed to successfully recreate the atmosphere and vibe of the original, though of course a trailer does not a movie make. What we know so far is that Gosling plays a younger Blade Runner looking to find his predecessor Ford, and no doubt replicants will be heavily involved too. 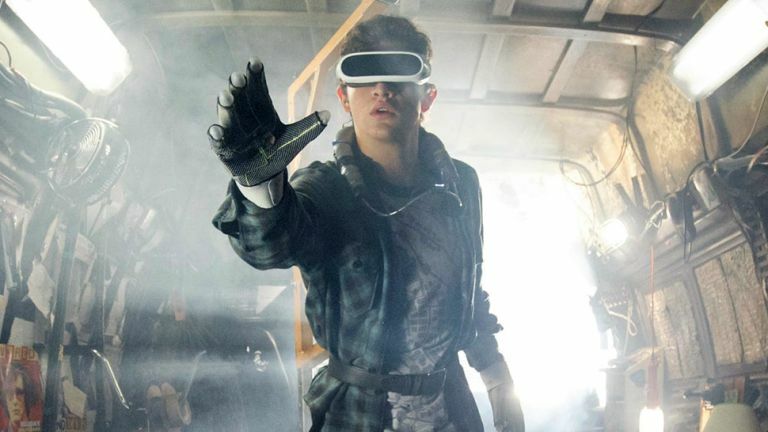 Ernest Cline wowed the world with his Ready Player One novel in 2011, a mix of 1980s nostalgia, VR world-hopping and good old-fashioned adventure. We can't imagine any director better qualified to bring those mix of ingredients to the screen than Steven Spielberg - think The Goonies mixed with AI or ET and you're getting somewhere close. If you're not familiar with the plot, it feels like it's getting more contemporary with every passing day: most of the action takes place in a virtual world called Oasis, where our hero Wade Watts is hunting for an Easter egg left behind by the world's original creator, fighting off evil corporations and showing off his 80s video game prowess at the same time. We're attracted to this one both by the credentials of director Alex Garland (who directed Ex Machina and wrote 28 Days Later) and the premise of the plot, based on a novel by Jeff VanderMeer: it involves a four-woman expedition into a mysterious zone known as Area X, cut off from civilisation and suspected to be home to all kinds of creatures and weirdness. The previous 11 expeditions into Area X have not exactly gone well, and you can expect some Lost-style craziness for the four researchers who head in this time. Saying any more would spoil the movie for you, though it's not yet clear just how closely it will follow the storyline of the book - just expect the unexpected and you should be somewhere close. We're not overly enthused about remakes in general, but they can occasionally be done well, and we're hoping that's the case for the 2017 update of the 1990 original. If you've never heard of either, the story revolves around a group of scientists who try and peer beyond death by 'flatlining' and then resuscitating themselves with each others' help. As you can probably imagine, this rather crazy plan doesn't work out all that well - or at least it didn't back in 1990, and the trailers for the new film make it look like we're in for a similar mix of science and suspense. This time, Niels Arden Oplev (The Girl with the Dragon Tattoo) is in the director's chair, with some A-list Hollywood talent appearing on screen. Loosely speaking the third in the Cloverfield trilogy - after 10 Cloverfield Lane and... er... Cloverfield - the God Particle tells the tale of a space station crew making a horrible discovery and having to fight for survival. That might sound like a plot you've heard a hundred times before, but we're hoping producer JJ Abrams knows what he's doing. Beyond that we really don't know too much, and that includes how this might fit into the Cloverfield universe. We do know that the film's release has been pushed back a few times, so fingers crossed it's worth waiting for when it arrives. Stars including David Oyelowo, Elizabeth Debicki and Daniel Brühl are part of the movie's ill-fated team of astronauts. Of course we couldn't end this round-up without mentioning the most famous sci-fi franchise of them all, Star Wars. Episode 8 rolls into cinemas in December, bringing with it the continuing adventures of Rey, Finn, Kylo and the gang, and judging by the teaser trailer it looks like Luke Skywalker might have a few more words to say on screen this time. Disney is being typically tight-lipped about what to expect from director Rian Johnson (previously known for time-travelling head-scratcher Looper), but we know it's the last film Carrie Fisher completed before her death and Tom Hardy is rumoured to be showing up as a stormtrooper. Off the back of The Force Awakens, we can't wait for the next one.